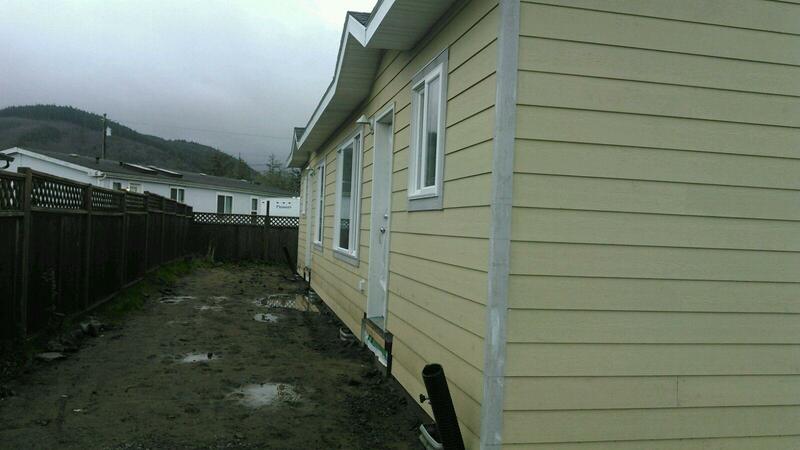 The duplex is for the doctors’ residences and is part of the Makah Tribe reservation in Neah Bay. It is the absolute last stop in the the rugged northwestern part of Washington only 4 miles by boat to Canada. 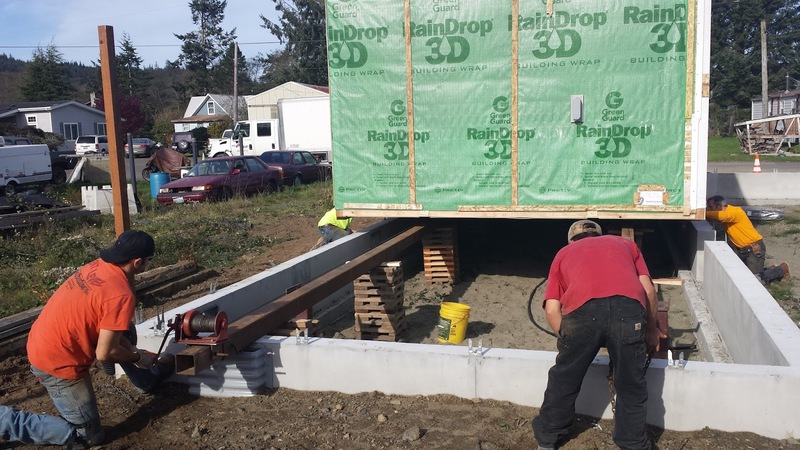 TLC Modular in Goldendale, Washington built the 15’8” wide modules. 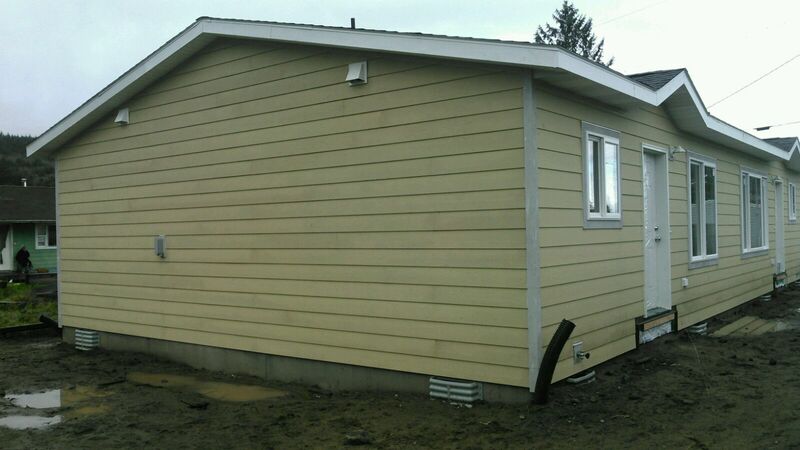 The units had a fixed roof which gives them an appearance of a HUD but is a true modular duplex. Because it rains so much in Neah Bay, having the modules set by crane would have meant a ton of mud to deal with and to top it off, the closest crane that could even pick up the modules was a day’s journey each way. 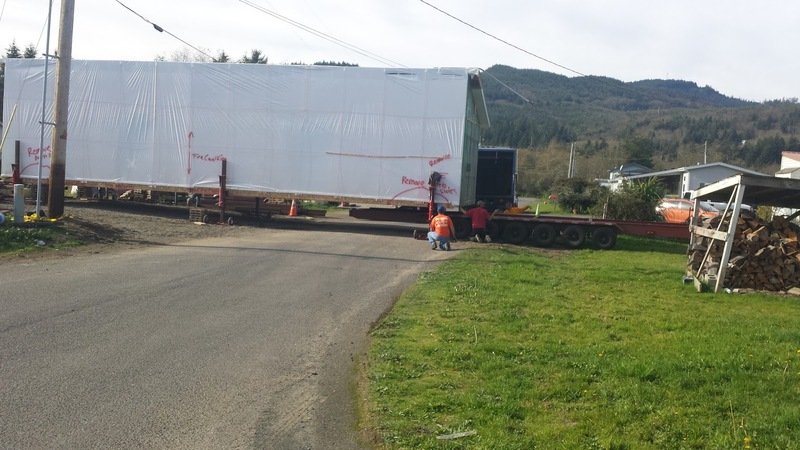 It took 8+ hours to deliver the units. At the site there were power lines that covered the front and fences and neighbors on the sides. 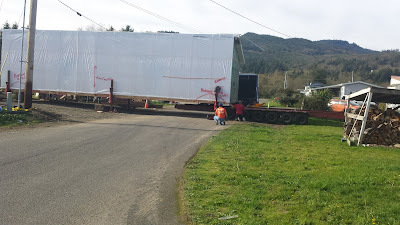 They actually had to do an end load roll on for this unit. The company that did it was Bent Level Construction and they do this all the time with mods in the west. They even roll them on 8’ in the air. This company does lots of commercial sets and sets 100+ box apt and hotel projects. They thought was funny when Ken said “we don’t set in the rain.” Since it rains in the Northwest more days than it doesn’t, they always set in the rain. They would never get a house up if they didn’t. It rains more days than it doesn’t there. They actually told Ken they take the sunny days off in the summer. 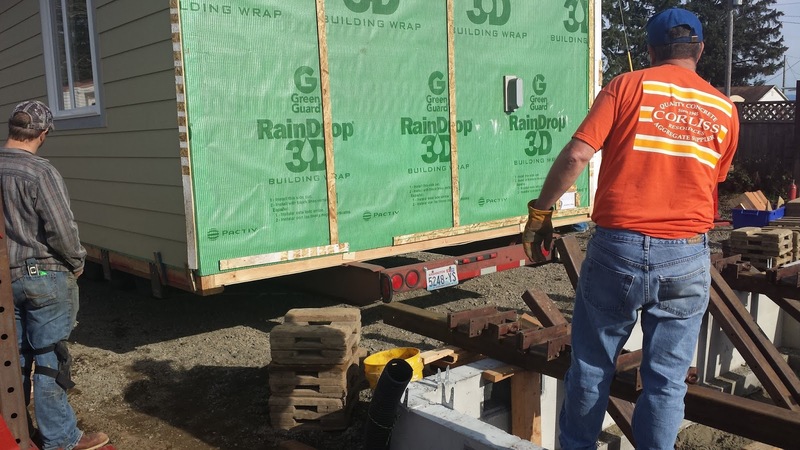 Express Modular, the only national modular home builder in the US, has now set a modular home in one of the most remote and rugged places any modular home builder has ever attempted. Oh come on. 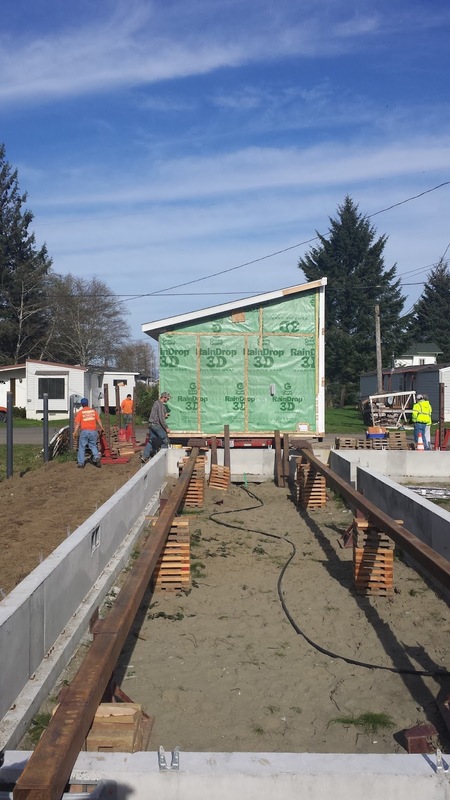 Express Modular is no more a national modular home builder than the man in the moon. Express Modular is a seller of modular homes not a builder. Let's call a spade a spade.